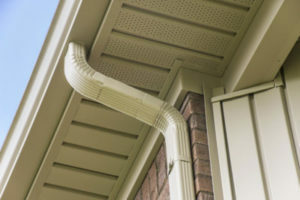 Homeowners often underestimate the importance of replacing the old soffit and fascia on their homes in the Lincoln, Illinois, area, which is a mistake you don’t want to make. Having worn or damaged soffit and fascia can detract from the beauty of your home as well as encourage mold growth in places like your attic. Furthermore, soffit in particular can impact the energy efficiency of your home, so it’s worth it to invest in a premium replacement that will help keep your home warmer in the winter and cooler in the summer. For new soffit and fascia, allow the skilled professionals at AAA Window – Siding Roofing to assist you. We are a family-owned and -operated business with more than 30 years of experience in the home improvement industry. Additionally, we have earned a number of accolades, including being on Qualified Remodeler magazine’s TOP 500 remodelers list multiple years in a row. We offer visually appealing and durable soffit and fascia from the industry experts at CertainTeed, which means you can feel confident your new home upgrades will look and function as intended for many years to come. In addition to offering top-quality products, we offer professional installation services so that we can be your one-stop shop. Our talented team will install your new soffit and fascia meticulously yet efficiently. Furthermore, if you want to update other parts of your home’s exterior, we can assist you with those projects as well. We can complete roof replacement, siding jobs, and also install new gutters and gutter protection products. To learn more about updating the soffit and fascia on your home in the Lincoln, IL, area, contact AAA Window – Siding Roofing today. One of our friendly and knowledgeable associates will be delighted to answer any questions you have and schedule a complimentary consultation at your home.